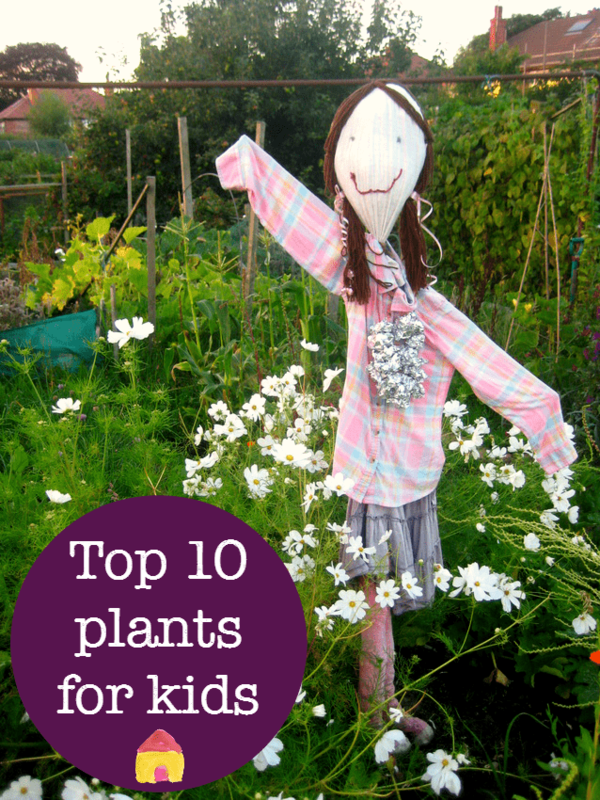 Here’s a guide to easy plants to grow with children to get them started on ‘My First Garden’. My girls are very excited to have their very own gardens this year. They always help with our planting, but this spring they’ve picked a selection of plants that they are going to grow from seed and then plant out in their own special garden. 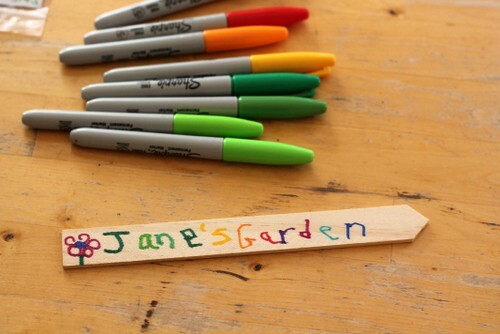 Although we do buy-in some plants, most of the things we have in our Garden Classroom are grown from seed. One big avantage of growing from seed is that it’s much cheaper: a packet of seeds that might grow into a dozen (often more) plants, all producing flowers or food, can be a fraction of the price you’d pay if you bought those same plants as seedlings from a garden centre. But there’s a bigger advantange when you’re gardening with children. A single seed can give you a whole year’s worth of science lessons, letting children see the full cycle of planting, germination, growing, and harvesting. They get to learn about sustainability, as they gather their own seeds from the plant, ready for planting the following year. And you just might find that children who are picky eaters are much more inclined to try new foods, if they’ve been involved in the hands-on process of growing them. 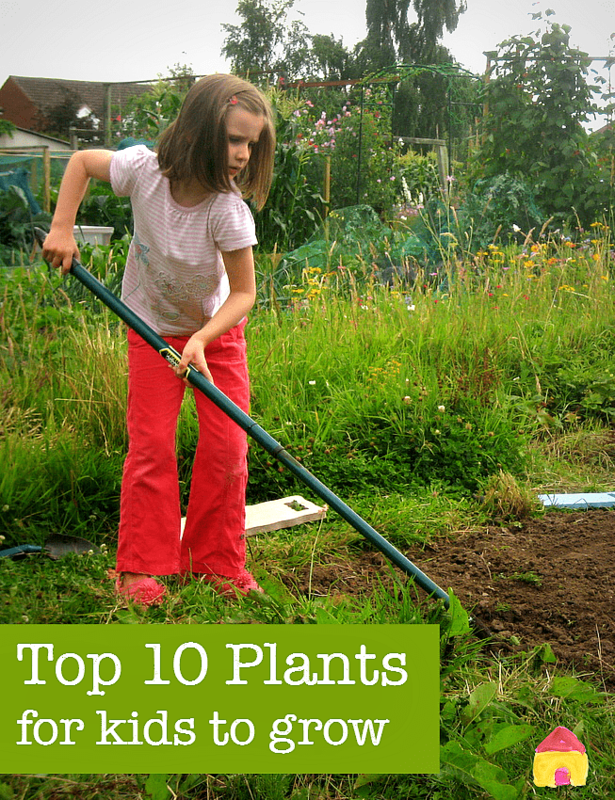 Which plants are easy to grow? For our ‘My First Garden’ project I set out a selection of seeds so the children could make their own choice of what they wanted to grow. Each child had a seed tray with six sections in, so they could pick a maximum of six different types of seed. Check your seed packets for particular details of the variety you have chosen, as some may need to be started in a greenhouse or indoors until after the risk of frost has gone. It’s also a good opportunity for children to have a try at reading some instructional/ factual information, and meeting some new vocabulary words. 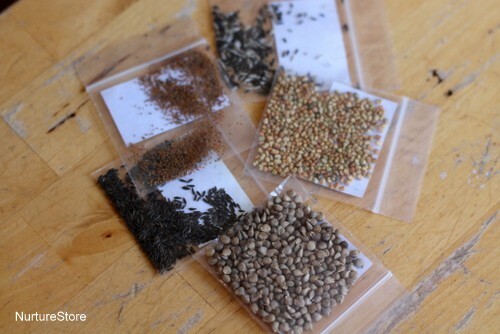 Before you plant, take a good look at the different seeds: you’ll notice they are all sorts of shapes, sizes and colours. Some even smell different. We use a peat-free potting compost, which contains a good mix of nutrients to get seeds off to a healthy start. 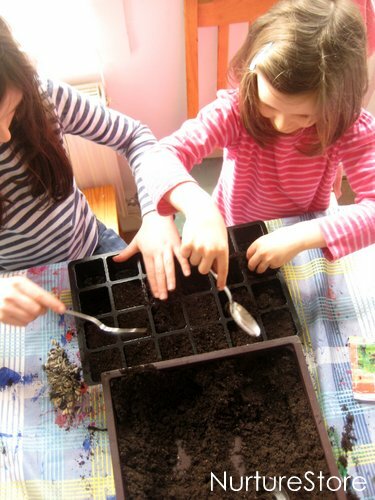 Use this guide for how to plant seeds with kids for some extra tips and learning activities. 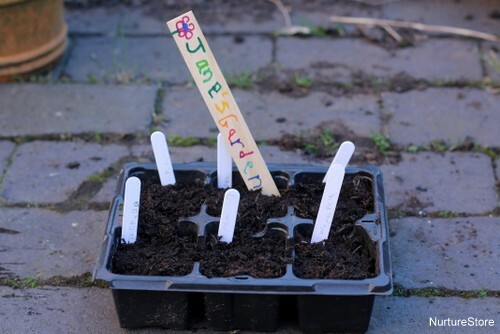 Everyone can make their own special label to mark which seed tray belongs to them. Ours are going outside in our mini-greenhouse for a month or so, while the seeds germinate and begin to grow. Then we’ll be back to pot them on, when they need to move into bigger plant pots, and then to plant them out in each child’s own special section of our Garden Classroom. A complete unit of spring growing lesson plans to make it easy for you to plan a spring nature study curriculum. 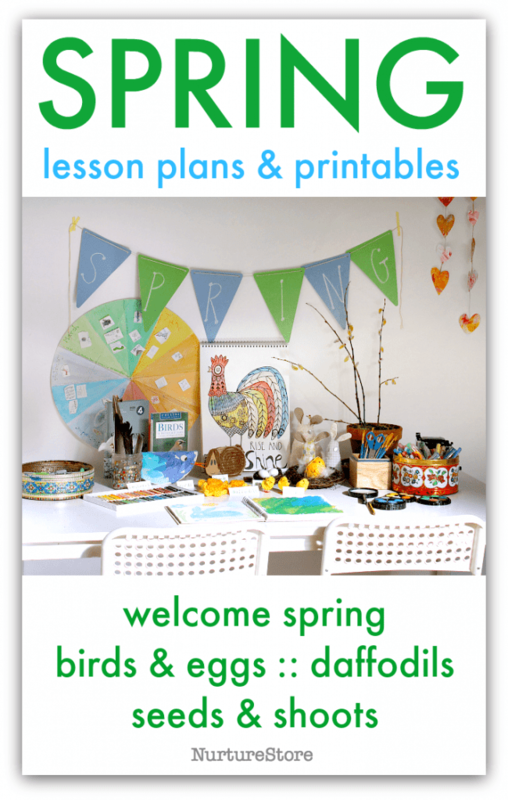 See my Seeds and Sprouts lesson plans here. We are starting a Nature Club and this is going to be so helpful, thank you! My daughter, Niamh, read Jane Goodall’s autobiography, “My Life with the Chimpanzees” and Jane wrote about how she stared a nature club when she was a little girl in England. My youngest is so passionate about the earth and all of its creatures that she was immediately inspired to start her own club. After trying and failing to get a group together, it is finally starting to spring to life and one of our activities is to plant a community garden – we are aiming at beginning the garden at my eldest daughter’s work – she is a nurse at a nursing home. If permitted to start it there, the residents can continue to nurture and grow the garden. I will let you know how it all works out! Thank you for this fantastic guide! What a wonderful project Carreen. Good luck with it! I would love to hear how you get on. (And I have many more garden ideas on the way if you’re interested.) And bug hotel could be a good addition to your garden.